Be Careful on Evergreen Road! The fire and the logging have changed sight-lines. Take it easy! Located approximately 180 miles east of San Francisco, Mather is situated on the rim of the Tuolumne River gorge at an elevation of 4520 feet. Highway 580 to 205 to 120. 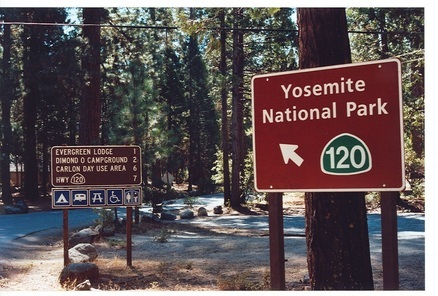 Follow signs to Yosemite and stay on Highway 120. Ten (10) miles after Buck Meadows, turn left on Evergreen Road. Follow Evergreen Road seven (7) miles to Camp Mather. For more complete directions, click here.